Buying a set of irons is not only more economical than buying one at a time but also ensures that you have all the irons that you need in a single package. Cleveland takes things further with this set by making the irons progressive to ensure that each of the 8 clubs will be useful for something. 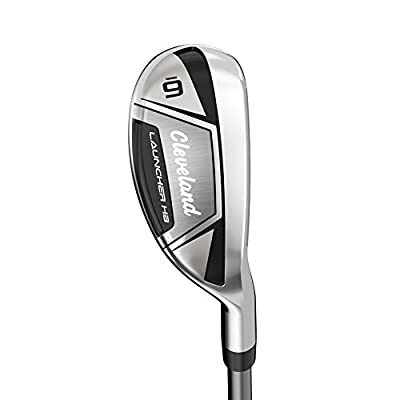 Cleveland Golf Men's Launcher HB irons come in both steel and graphite shaft options and in the three main flex options to make them ideal for almost any golfer. Buying a set of irons is not only more economical than buying one at a time but also ensures that you have all the irons that you need in a single package. Cleveland takes things further with this set by making the irons progressive to ensure that each of the 8 clubs will be useful for something. 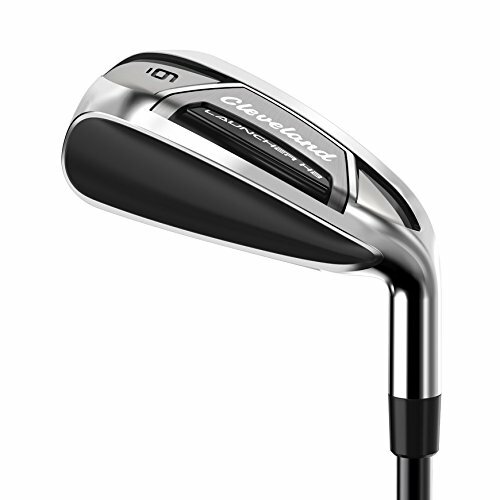 The irons feature a fully hollow construction for maximum forgiveness, high-strength steel inserts on the face for faster ball speeds and HiBore crown for high launch conditions. 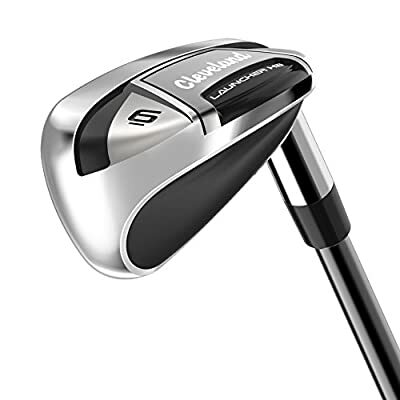 Cleveland Golf Men’s Launcher HB irons come in both steel and graphite shaft options and in the three main flex options to make them ideal for almost any golfer. Fully Hollow Construction: The fully hollow construction is one of the key selling points of these Cleveland Golf irons. This construction allows for redistribution of weight low and deep into the clubhead which results in maximum forgiveness and incredible stability when the club makes the impact. HiBore Crown: Cleveland also makes use of a HiBore crown design to help create a low and deep center of gravity to promote high launch conditions. High Strength Face: With the high-strength steel inserts on these irons, you can be confident of always getting fast ball speeds regardless of where you make the contact. These inserts help by allowing the face to flex more on impact. Progressive Shaping: This is a progressive iron set where the short irons look like traditional game improvement irons designed for better control while the mid and long irons have a more traditional hybrid appearance and they are meant for distances and high launch. Shaft: For the shaft, Cleveland uses both Miyazaki graphite and true temper steel to allow golfers to pick what they prefer. And the shafts are available in the three main flex options which are Stiff, Senior and Regular. Irons are some of the clubs that many golfers will use most when on the course, and so it makes sense to make sure that you have the best set. This complete iron set from Cleveland provides come of the best performing irons that will work for all kinds of golfers. The progressive set is designed to offer all-round performance, but the irons seem to have an edge when it comes to creating high launching and straighter shots. There are many reasons why this will be a great iron set for you, but the highly stable impact, maximum forgiveness and larger sweet spot that is hard to miss even for beginners should be enough to convince you to try them out. But, note that this is a relatively pricier set given that you can get other good ones from different brands at half the price. However, they are worth the extra cost and you will never regret buying them.